Hi! I'm Danielle, welcome to Northeast Ohio Family Fun! Have you ever found yourself frantically searching for something fun to do with your family? Have you ever heard stories about an amazing event after it was over and wished you had only known before so you could have gone? Do you want to know about the affordable and often FREE family-friendly events that take place in our area? If you answered yes to any of those questions…you are in the RIGHT place! 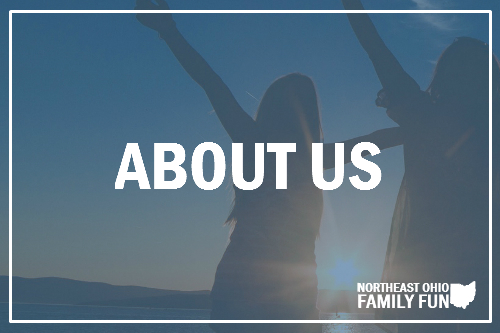 Northeast Ohio Family Fun is for parents/grandparents/families, who like myself, want to know more about the family-friendly events, attractions and businesses in Northeast Ohio. After five years of parenting, I found no single resource that allowed me to find the best local things to do with my children. The information was out there, but it was hard to find and I spent a lot of time searching for things to do. My struggle led me to create NortheastOhioFamilyFun.com. Now, I get to share all the the fun, exciting and often FREE events that take place across Northeast Ohio with you! My hope is that by doing so, it will allow you to easily plan fun outings with your friends and family. I strive to live hands free. Some days are better than others, but it's something I'm passionate about and committed to. We got rid of cable, and don't miss it at all. I’m a kid at heart, I like to get my hands dirty, ask lot of questions and savor the simple moments. I've found a geocache in 12 different states. I love Christmas Lights, especially the ones set to music. I don't like shopping, and much prefer going without or purchasing things online. You can often find me doing cool science experiments with my kids. One of the things that makes Northeast Ohio Family Fun unique is that it is local moms and dads looking to help their neighbors enjoy the experience of raising a family in Northeast Ohio. My goal is to help you do just that. If you have any questions, comments or requests, please contact me at any time. I look forward to hearing from you!